Villa Strand is the little sister of Hornbækhus located on the sand dunes. The white villa houses 15 rooms with baths and has direct access to the beach from the garden. 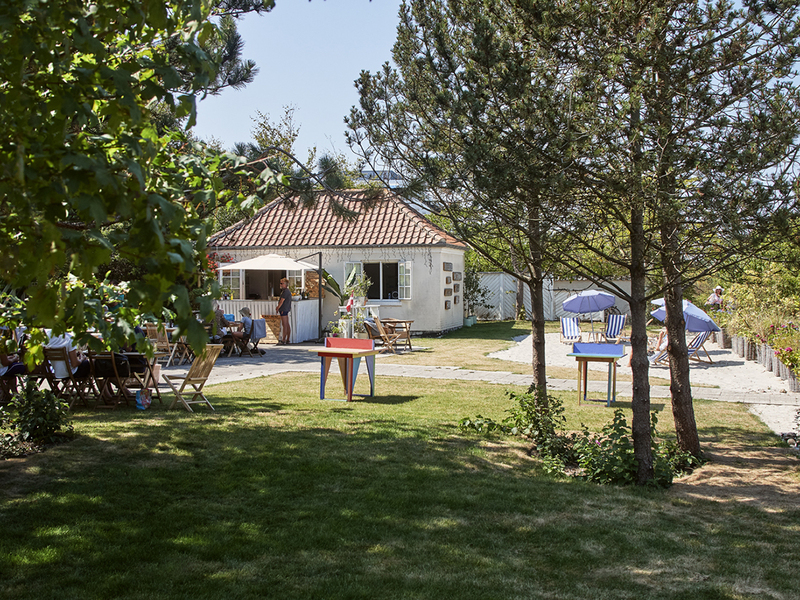 Guests at Villa Strand checks in and out at Hornbækhus, where the breakfast will be served as well. 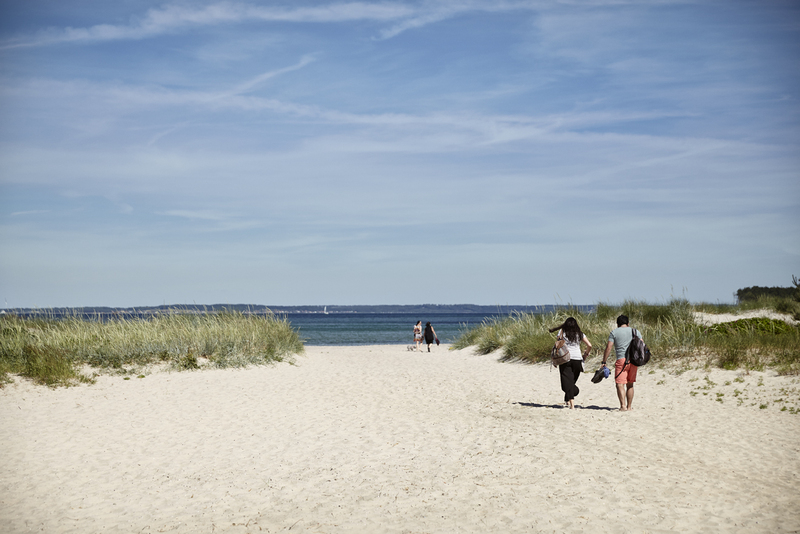 Rooms can be booked at the front desk of Hornbækhus. You will find Villa Strand BAR on the beach front. There is shade under the garden trees, a lawn, lots of sand and sunbeds with a view of dunes and blue sky. We also have a seating area inside the shared living rooms. Stop by during the day for a quick bite or enjoy a glass of wine on your evening stroll. The menu is simple. Light dishes, snacks, ice cream and drinks with or without alcohol.